As long term travelers and house sitters, we prefer to use budget airlines. We are happy to suffer some of the drawbacks on the one day every three months or so that we are in the air, and would rather have the money to enjoy once we get to our destination. Choosing a flight with a reasonable layover mid-way solves the problem of a long haul flight in cramped seating conditions. That’s why we considered flying Air Asia. However, as we prepared to leave our house sit destination of Perth, friends started asking which airline we were flying to New Delhi, India on our way back to the UK. We are visiting Ian’s brother for a few days, with an overnight trip to the Taj Mahal. The slightest mention of flying Air Asia met with “oohs” and “ahs” and general “oh dears”. It doesn’t help when an airline has recently had a tragic fatal accident. Having received such negative feedback, I admit to not being thrilled at 4.00am on Friday 13th (not at all superstitious! ), and the prospect of two five hour flights ahead of us. We used an Uber taxi to get to Perth Airport. By signing up for the app in Australia we got the first journey free. We waited no more than three minutes for a driver to arrive, who then transported us on traffic free roads to the newly upgraded Terminal 1 departure hall. It was easy to find the Air Asia baggage drop, but having checked in online the evening before, we were slightly dismayed to see a large party of travelers with the ultimate “baggage drop” of around 30 bags, blocking most of the check in desks. A smiling face instantly caught my eye from another counter and we were swiftly led by a member of the ground staff, around the blockade. We achieved an efficient and painless bag drop – all over in a matter of minutes. Worries about our overall baggage weight dissipated, when we realized our carry-on bags were not going to be weighed, measured and redistributed (as had been the case earlier this year with Air Fiji). The allowance was fairly generous for a budget airline – 20kg checked, 7kg carry-on, plus a laptop bag or handbag. We breezed through with overweight carry-on bags, a camera bag, two laptops, handbag and a large poster tube. It wasn’t long before we were settled at our appointed gate drinking superb flat whites (Australia’s signature coffee style), purchased at the adjacent Haymarket Cafe. Our gate seats all had plug sockets for last minute charging, and the WIFI was free. Newly modernized Terminal 1 has “focused on providing the best local produce and incorporating the latest food trends to appeal to all visitors – from premium wines and boutique beers, to favorites from around the world,” states Perth Airport Executive General Manager, Commercial Services, Scott Norris on the airport’s website. So far so good – we were really enjoying our early morning experience. Boarding went smoothly, on time and in an orderly, non chaotic manner. We were a little disappointed that in our sleepy state we’d forgotten to ask for window seats. Our seat allocation included two of the middle three seats, and we were alongside another passenger. I have to say it was a bit of a tight fit – the seats aren’t that wide and the leg room is typical of a budget airline, but they were comfortable. The plane appeared quite new and was very clean. You can of course book “hot seats” which provide extra leg room, but at a cost. What I liked most was the casual, non-domineering attitude of the staff on-board. Once we were all seated, and before take-off, they allowed us to redistribute ourselves to achieve extra individual space. Ian moved toward a window seat, the passenger to my left disappeared somewhere else, and I ended up with three seats to myself to lay out on and sleep for most of the flight. The cabin crew even allowed the more astute passengers to move to the vacant hot seats. Of course everything else is non-existent so it’s a necessity to prepare in advance. There’s no free entertainment, but we prefer to sort this out for ourselves on our tablets. We took our own water on-board and pre-booked an inexpensive vegetarian curry with our tickets. Don’t expect the normal tray of extras with your meal – it really is just what it says – a basic but tasty meal, plus a bottle of mineral water. Even tea and coffee is an extra charge. The highlight for me was being woken to an interactive birthday presentation to a fellow passenger. We were all encouraged to sing along to “happy birthday” an hour or so before landing. It was slightly amusing to observe that no-one among the crew knew the birthday girl’s name, or maybe couldn’t pronounce it, and so the cabin fell completely silent at that part of the chorus! We were also treated to a further upbeat recorded “happy birthday song” as we taxied into Kuala Lumpur Airport. My advice, if you don’t like to be the centre of attention after four hours of flying, don’t travel with Air Asia on your birthday! It was quite sweet though, and showed a very friendly, amenable side to the cabin crew, who did their jobs throughout the flight with smiling faces and a helpful attitude. We arrived at departures, Kuala Lumpur Airport, where we are enjoyed free WIFI, with enough time to write this article, and tuck in to a tasty Indian meal for around 3 UK pounds. We rejoined our connecting flight in the evening, well fed, relaxed and refreshed. Airport lounges are improving all the time. At Melbourne we found both work and sleeping areas, specifically designed for travelers’ needs. We always make the most of our layovers and see it as part of our travel experience. It’s so easy to get dismayed and discouraged from using budget travel by all the negative online reviews It’s rare to read when things go smoothly and meet or exceed passenger expectations. Generally we tend not to write about these occasions, focusing only on when things go wrong. Our tickets flying Air Asia cost only 240 UK pounds each. That’s a great price for eleven hours of overall flight time. 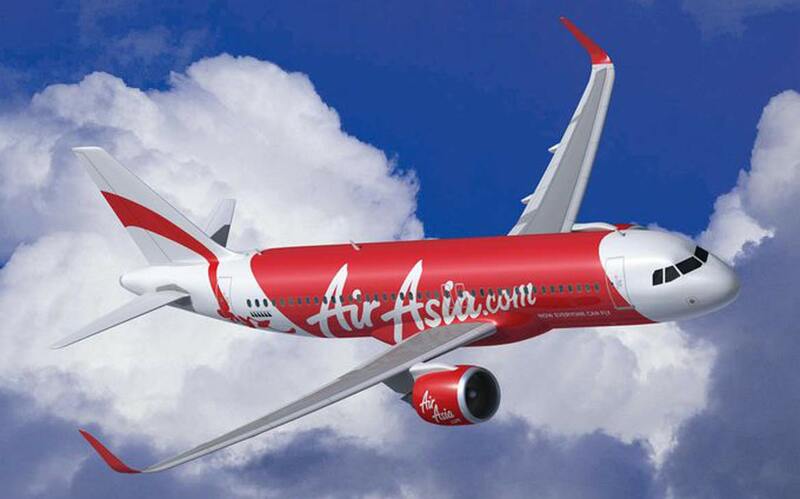 You get what you pay for, but we were very happy with Air Asia and will certainly use them again. Do you have a good or bad experience to report when flying on a budget airline?